Auto Engines Diagnostics. We provide superior auto engine diagnostics and service in Houston, TX at lowest prices. Our auto engine diagnostics and service experts are trained to accurately diagnose the problem and offer solution. 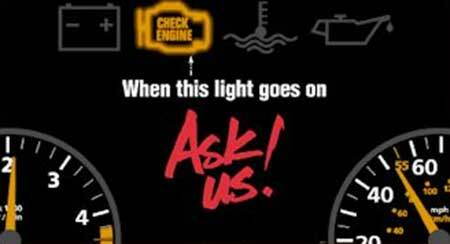 Call us today at 281-661-8180 to get your Check Engine Light issue taken care of right away. Keeping an eye on your vehicle’s dashboard for any signs of engine trouble is smart. When the light comes on telling you to check your engine, it is time to have a certified Houston auto repair specialist from Ramy’s garage and Automotive Center service your car. The first step in the process should be auto engine diagnostics. Call us now at 281-661-8180 before more damage to your vehicle. Ramy’s Garage technicians will inspect your engine system and perform engine diagnostics, providing you with a complete analysis of the current conditions and a repair cost estimate. For vehicles that run poorly, stall, hesitate, suffer reduced gas mileage, or will crank but will not start, Ramy’s Garage expert technicians will perform a special computerized diagnosis that will identify the problem. We have expert technicians who have the training, experience, and expertise to provide quality auto engine diagnostics and repairs. We will ensure that your vehicles interior and exterior is protected while we work. At Ramy’s Garage you’ll find a friendly staff that has been servicing the Houston Galleria Area since 1957. We are committed to providing you excellent and quality services with dependable warranty for your car, SUV, van, motor home or truck. We invite you to call us today and 281-661-8187 and kiss the check engine worries good bye..
Coolant leaking externally from bellows the exhaust manifold. Bubbles in the radiator or coolant overflow tank. Significant loss of coolant with no visible leaks. On average, we save our customers around 30% on auto service. When it comes to major repairs like head gaskets. Ramy’s Garage can help. We have highly qualified technicians who have a passion for excellent service.